Choir Direction – Chor Levantate Ulm e.V. has been leading our choir Levantate since 2015 on a temporary basis. Our first common concert was the Peace Mass “The Peacemakers” by Karl Jenkins in March 2015 at Pauluskirche Ulm. 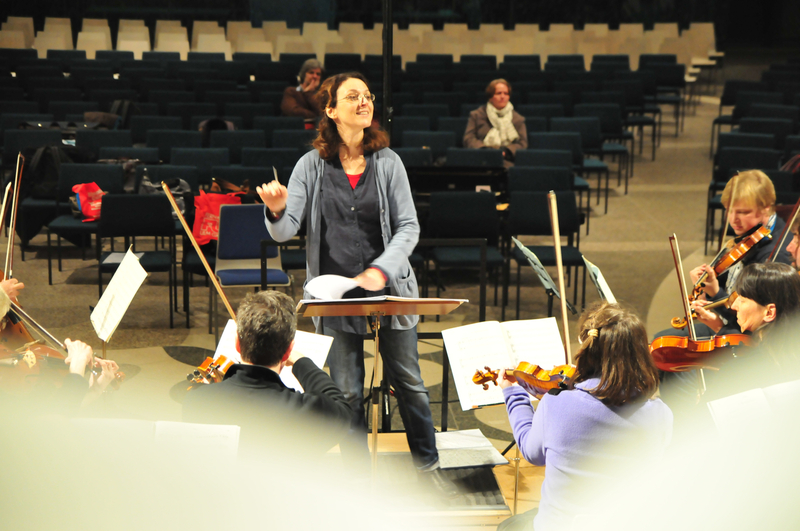 Her professional focus lies on working with orchestras. 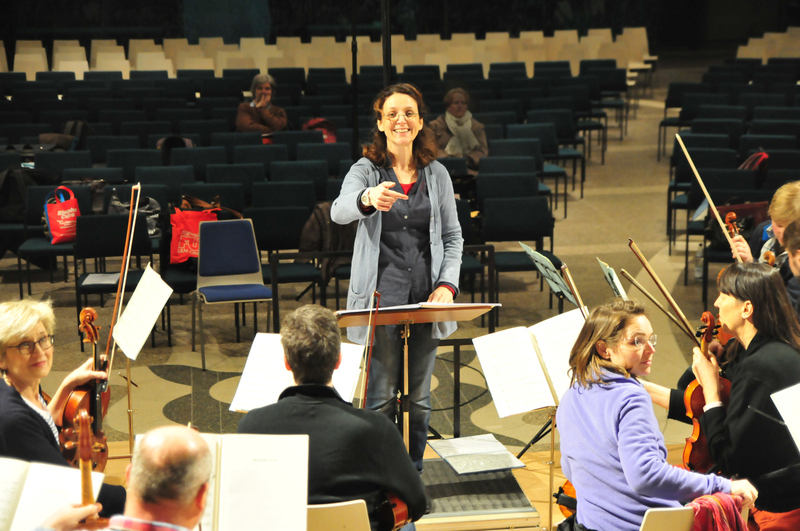 She manages perfectly well to combine her work with instrumentalists with the choir work, and choir Levantate is very happy to benefit from her competency. Patty (Paraskevi) Kontogianni was born in Greece in 1970 and has been living in Germany since 1997. She studied Musical Education at the Aristotle University in Thessaloniki und completed her cello studies at the local conservatory with Anatoli Krastev. She started to conduct with Karolos Trikolidis in Thessaloniki followed by conducting studies with Professor Karl-Heinz Bloemeke at the Hochschule für Musik Detmold. She participated in master classes among others with Sylvain Cambreling, David Zinman, Howart Griffith and Michael Dietrich. 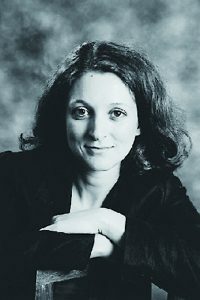 She qualified at the International Conducting Competition A.Pedrotti for the finals and won the first prize at the conducting competition of the Bergische Symphoniker as well as the scholarship as an assistant to the General Music Director Ms. Romely Pfund. 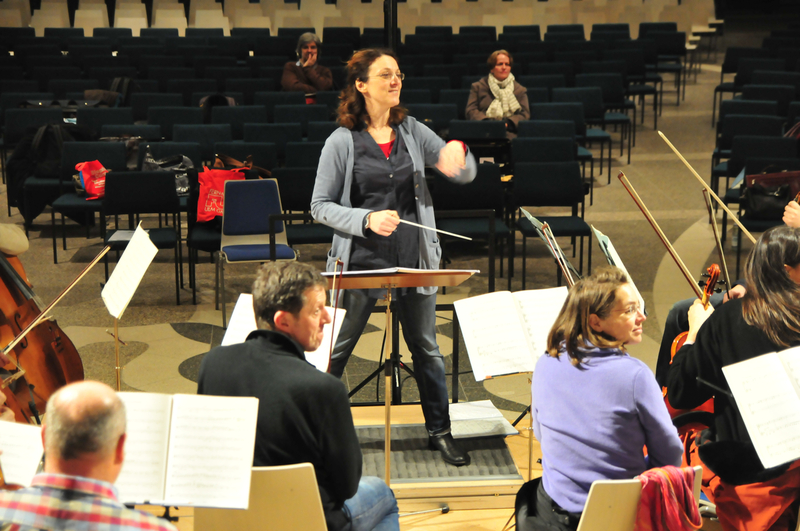 In 2005 she took on the direction of the Voith Orchestra Heidenheim. In 2012 the New Music project “wellen reisSen” (composed by J.Kopp) that was conceived based on her ideas and performed under her direction received the Ecouragement Award of the Liz-Mohn-Foundation. In 2016 she conducted the “Ensemble European Music Project” at the Festival of New Music Ulm at the Stadthaus Ulm. She was invited on various occasions to work with renowned soloists, i.e. at Kapfenburg Castle (Accelerando) and in Greece. Patty Kontogianni lives with her husband and her two children in Ulm.